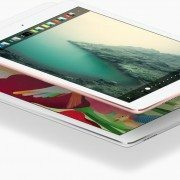 Is Apple eyeing the OLED e-book sector as well? On 3 May, BidnessEtc reported that the United States Patent & Trademark Office granted a new patent to Apple regarding OLED equipped newsreader device. It’s patent`s document shows that this rollable device has AMOLED panel on both sides, and as it is flexible it is easily portable. The device can be used for newspaper, magazine contests and advertisement, and can receive messages through wireless networks. BidnessEtc reports that this shows there is a lack of suitable displays for newspapers and magazine contents. Meanwhile, this company registered 56 patents in March including regarding AMOLED operation improving device and methods. Much attention is focused as Apple’s release of OLED equipped iPhone is almost confirmed. Apple’s continued moves with patents regarding OLED are expected to create more bustle for the OLED industry. 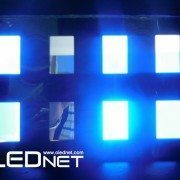 [LED/OLED EXPO 2015] Low Cost OLED Lighting Panel Production, QD Film Provides the Solution?